The urgency grows to lift people out of hunger, poverty, sickness and ignorance. Our planet’s ecosystem must be rescued before it deteriorates beyond the point of no return. Even under wasteful and destructive capitalism, the productive forces exist that could, if planned and utilised to meet human need instead of maximising capitalist profit, ensure sufficient food, nutrition, health care and education for all. Indeed, never before in history have the rapid advances in science and technology provided such opportunities for the all-round development of every human being. But while it has proved possible, from time to time, to curb capitalism’s tendencies to crisis, deprivation and war, those tendencies have always reasserted themselves because they arise from the nature of the capitalist system itself. The capitalist economic cycle produces gluts, crises, cut-backs, redundancies and then shortages before beginning all over again. The anarchy of the capitalist economy in general militates against society’s need for planned, balanced, equitable and sustainable development across countries, regions and the whole world. 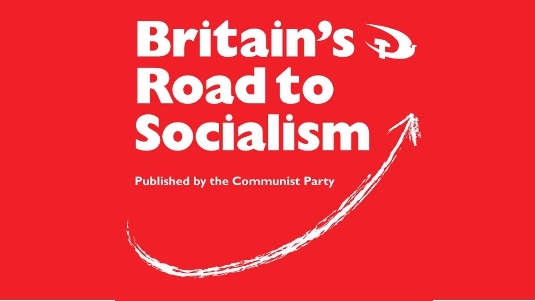 Nonetheless, the experience of social-democratic policies and the attempts so far to build socialism – albeit in very different conditions to those in Britain – provide some valuable lessons. They demonstrate, for instance, that public ownership, economic planning, collective provision and the redistribution of wealth can provide substantial economic, social and cultural benefits to the mass of the population, even when these are restricted, distorted, exploited and subverted by monopoly capitalist interests. Experience also indicates that unless such policies are mobilised as the basis from which to make deeper inroads into capitalist economic and state power, they will prove to be partial and temporary. Their weaknesses and inadequacies will then be used to discredit any alternative to private capitalist ownership, the ‘free’ market and social inequality. After centuries of capitalism, the first attempts to build a socialist society arose fewer than 100 years ago in conditions of world war, in less developed societies facing the advanced, hostile and powerful forces of imperialism. Both the achievements and the failures of these pioneering socialist systems have to be considered in this context, and lessons learnt accordingly. Be the first to comment on "The Case for Socialism"